HomeAnimalsMost PopularShow some BIG love for Carnival the TINY horse! Show some BIG love for Carnival the TINY horse! 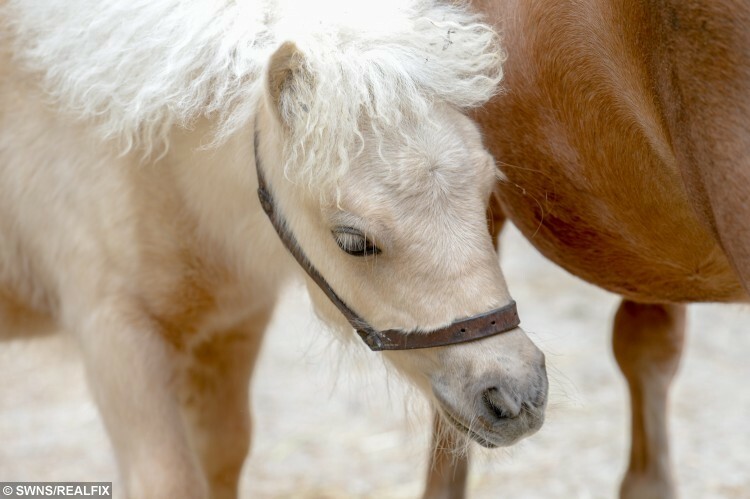 A horse rescue centre have taken in their smallest ever guest – a tiny foal the same size as a DOG. Carnival the miniature Shetland Pony stands just 24 inches tall – the same height as two cans of Pringles. 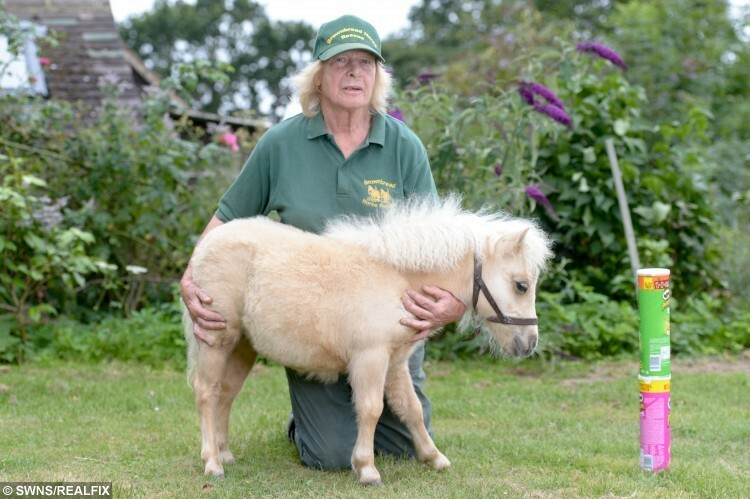 The tiny little cream foal was rescued by volunteers at Brownbread Horse Rescue alongside her mum Misty, who is only a few inches taller – because they were being treated like DOGS. Dinty Steains from the sanctuary, near Bexhill-on-Sea, East Sussex, said Carnival is a lovely little foal. She said: “Carnival has a big personality for such a tiny horse. Carnival is one of the shortest horses in England, standing the equivalent of about six hands high – a third the normal height of a horse. 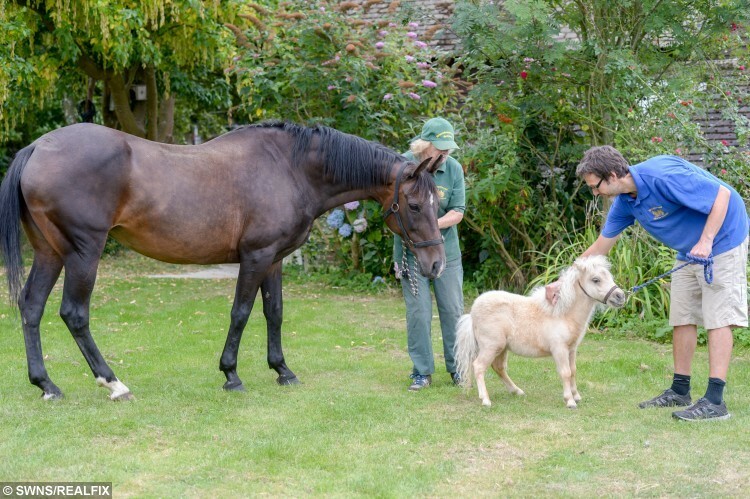 The little year-old foal, who is now living at the sanctuary in Bexhill-on-Sea, West Sussex, is so little she is about the same size as a collie – and weighs about the same as a Labrador. Dinty said: “We haven’t weighed Carnival, because she was healthy when we rescued her, but she’s about the same weight as a Lab or a collie. 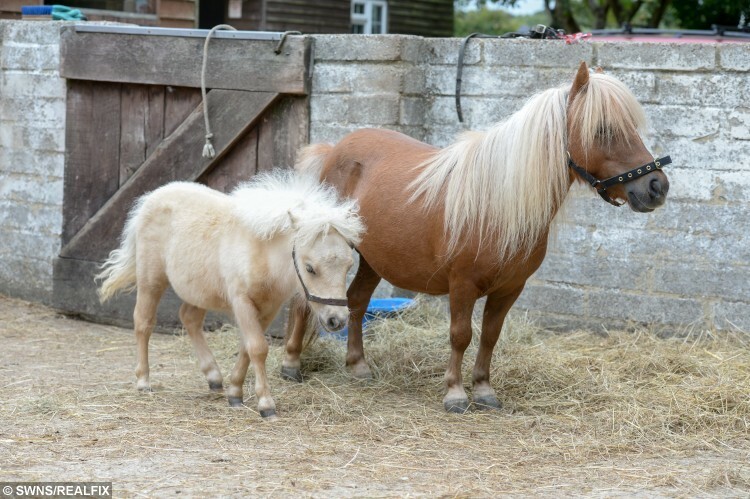 Carnival, who is not expected to grow much larger, and mum Misty were found living in unsuitable conditions, with two other Shetland ponies, and were rescued by the sanctuary last month. Dinty said: “They were effectively being treated as house pets. 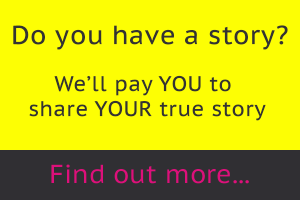 “The lady we rescued them from was lovely and she was happy to give them up once we explained why their living conditions weren’t suitable. Dinty added that there are currently no plans to rehome Carnival, but the sanctuary is always looking for people willing to help out their charity.